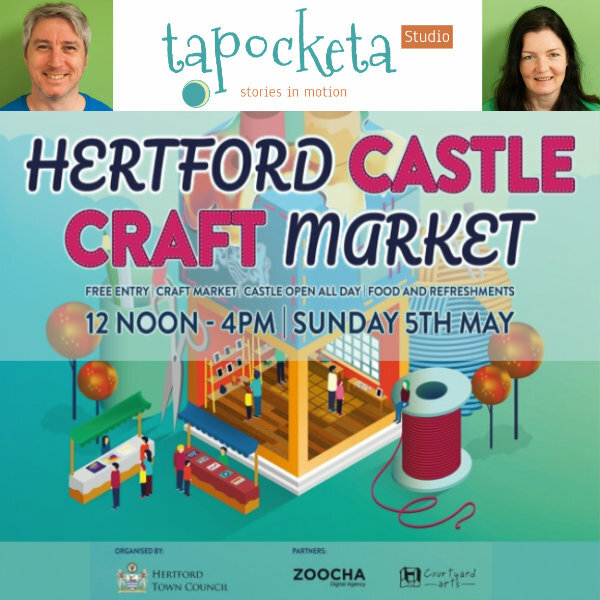 Eleanor and Trevor from Tapocketa will be at Hertford Craft Market! Come and get your personally signed copy of the Galdo’s Gift Guide and talk to the animators about how they created this multi award-winning animated book. There will also be over 60 craft and food stalls all set in the beautiful grounds of Hertford Castle. A fantastic day out! So come join us at this wonderful local event. Look forward to seeing you there!